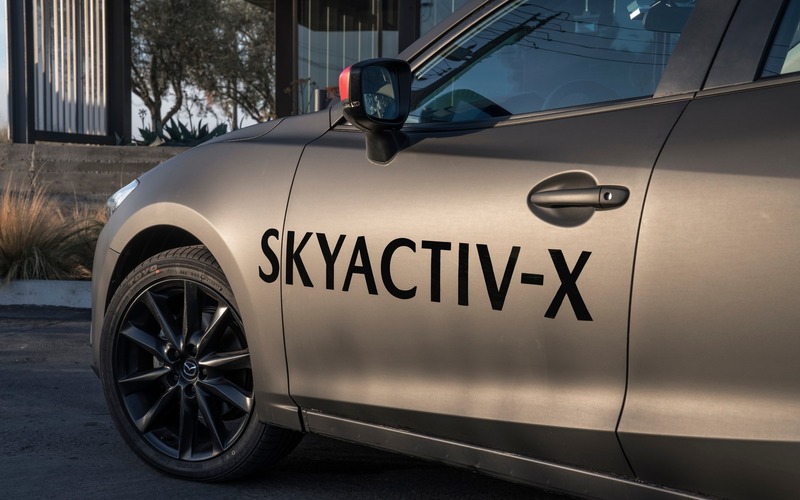 IRVINE, California – With the new SKYACTIV-X engine, Mazda’s engineers have created a gas-powered internal combustion engine that is as dynamic and efficient as a diesel engine, minus the toxic emissions. Last year, The Car Guide went to the Mazda Research and Development Centre in Frankfurt, Germany, to get acquainted with this engine in a modified Mazda3 Sport. In fact, I drove two prototypes: the first with a manual gearbox and the second with an automatic. The course was a mixed bag of highways—including one section with no speed limit—as well as country roads and city streets. I recorded an average fuel consumption of 6.5 litres per 100 kilometres, which represented a 15.5% improvement (manual) and 13.4% improvement (automatic) compared to the corresponding conventional Mazda3 Sport. If we exclude the highway segments covered at high speed, leaving just the city and secondary roads, fuel savings reached 17.9% (manual) and 14.7% (automatic). 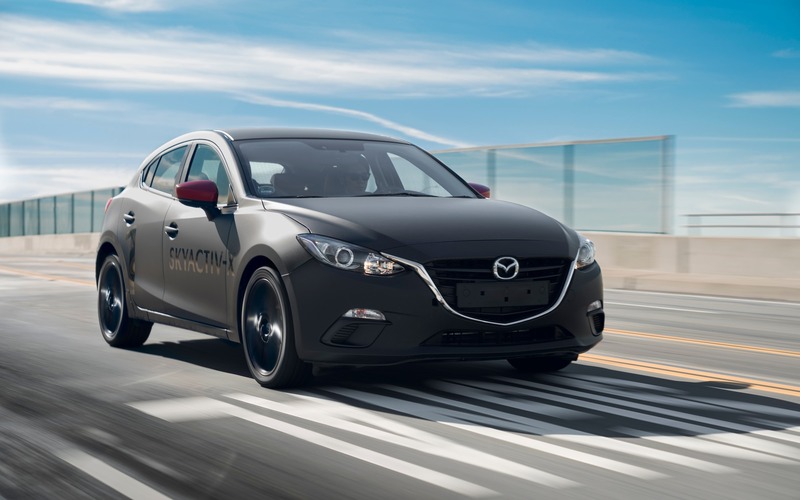 This time, however, the context was totally different, as we put the SKYACTIV-X engine through its paces on the roads surrounding the American Mazda Research and Development Centre in Irvine, California. Rather than developing and selling a small number of electric vehicles to make up for the rest of the fleet being powered by classic gas-guzzling engines, Mazda has chosen another route. The manufacturer aims to reduce the fuel consumption and polluting emissions of its combustion engines by 15% to 20% with new SKYACTIV-X technology. The 2.0-litre four-cylinder SKYACTIV-X engine burns regular gas with a compression ratio of 18:1 and combustion technology that combines the compression ignition of a diesel engine and the spark plug ignition of a conventional gasoline engine. When the ambient temperature is cold or if it’s revving in high gear, the engine works just like an ordinary gasoline engine. For example, when it’s revving in lower gears at cruising speed, it runs with a much lower air/gas mixture. Unlike a diesel engine, it still uses spark plugs. When the engine revs in low gear, it burns an air/gasoline mixture that varies between 30 and 50 parts air to one part gasoline. This mix is much weaker than that of a conventional combustion engine using the stoichiometric ratio (14.7 parts air to one part gasoline). Auto-ignition by compression is difficult to control since it depends on several external factors including atmospheric pressure, air temperature and relative humidity. This type of ignition is also less suitable when the driver needs more torque and power. To overcome these variations and deal with torque and power demands, the engineers at Mazda use the spark plug from each cylinder as a manner of controlling combustion, depending on engine conditions, in a process known as Spark Plug Controlled Compression Ignition (SPCCI). The spark plug quickly ignites a small zone where the mixture instantly concentrates gasoline thanks to a swirl created by the unique shape of the piston surface. This leads to increased compression in the cylinder, which triggers auto-ignition by compression of the rest of the air/gas mixture. On California roads, this all-aluminum 2.0-litre engine had all the torque you could want—peaking at 170 lb.-ft. As a bonus, it delivers a particularly satisfying sound between 3000 and 5000 rpm. Only a slight lag around 2000 rpm reminded us that this engine’s combustion mode is very unusual. The Mazda3 Sport units powered by this engine were very pleasant to drive overall and proved livelier than a conventional Mazda3. It must be said, however, that automatic prototype offered a smoother ride than the manual. This new engine is still in the development phase, but we expect it to make its debut in the next generation of the Mazda3, slated for arrival in 2019. Its design will probably be inspired by the Kai Concept introduced by Mazda at the last Tokyo Motor Show. Los Angeles A New Mazda3 With SKYACTIV-X Engine Will be Unveiled in L.A.